Located on a major road within the thriving township of Gisborne this dual office/shopfront provides ample private off street parking, prominent exposure and an immediate investment income. 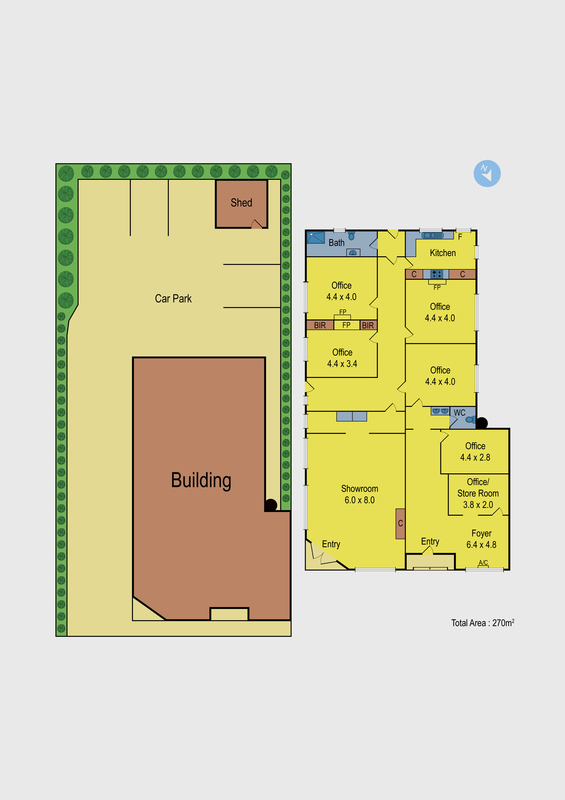 Zoned as Commercial 1, on a large allotment of 700m2, with the building maintaining 270m2 and a frontage of 19 metres all measurements approx. The larger of the two independent occupancies provides a spacious showroom, three separate offices, full bathroom and kitchen. The second frontage features a fresh foyer/waiting room, two treatment rooms or offices plus a powder room. Set amongst specialty stores, restaurants and professional suites this original 1840’s building maintains its classic character and charm, from its front facade and internal finishes, graced with high ceilings, cast iron fire place, timber mantles and stunning fretwork. The perfect immediate investment with unlimited potential. Current rental returns of $72,388 per annum, plus GST and outgoings.